Iconsiam, the spectacular landmark development being constructed by the Chao Phraya River in Bangkok, has confirmed that it will open on November 9 this year, with an unprecedented line-up of 14 iconic flagship stores and the largest number of the world’s most premium luxury brands ever represented in a single development at opening. Many of these ultra-luxury brands have located their flagships stores in the stunning 25,000-square metre super-luxury glass pavilion called ‘Iconluxe’ which is situated next to the river and has the longest pillarless glass façade in the world. It is built with specially commissioned glass that is pleated around the building to create a nirvana of luxury and helps accelerate the transformation of the Chao Phraya River into a major new destination in Bangkok. Thailand’s fine dining offerings will also get an important new addition with the opening of a world-class restaurant as well as a rooftop bar that will have one of the city’s most beautiful views over the river. The restaurant is certain to rise quickly to become one of Asia’s top fine dining locations. There are seven different food and beverage zones within Iconsiam each with a different atmosphere and concept. Fitness First, Thailand’s most popular fitness club with more than 29 clubs, will open its flagship club at Iconsiam. 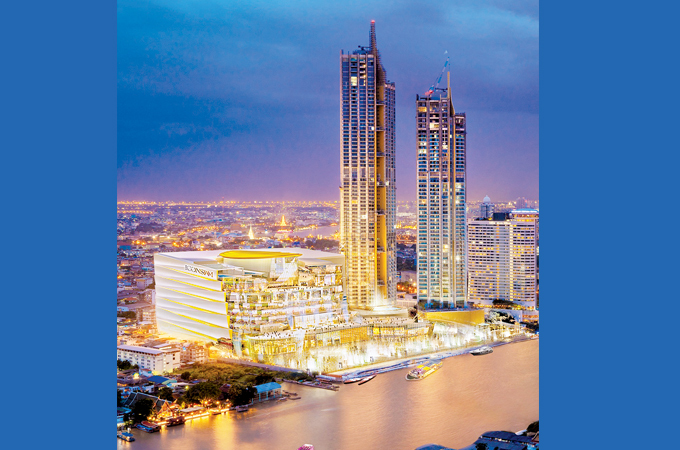 According to Chaiwatsirikul, a budget of approximately Bht 1,000 million will be spent on the opening and launch arrangements around the opening period, including a substantial investment in international communications. “Because Iconsiam will be a showcase for the very best that Thailand has to offer and serve as a platform to propel Thai brands, products, artists, artisans, and Thai culture on to the global stage, we are investing heavily to make Iconsiam globally visible. We want Iconsiam to be a magnet for the country capable of drawing hundreds of thousands of international and local visitors a day, and to bring honour to Thailand,” he said.